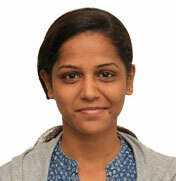 Akshata Badiger is a LEADer who stepped into LEAD as a student. LEAD inspired her to take up numerous initiatives. she is now a part of LEAD team. She has traversed the phases of being a LEADer, Master LEAder and a co-organiser in LEAD Prayana. She nurtures special intrests in culturals. She enjoys singing and dancing. She has worked as a teacher for one and half year. Inspiring and motivating people is a part of her life. She is an outgoing lady who prefers to step out and solve problems. Training youth for the betterment is what she does passionately.